Ah, Venice! There is something so charming about the narrow streets, the Italian food and the culture in this beautiful city. 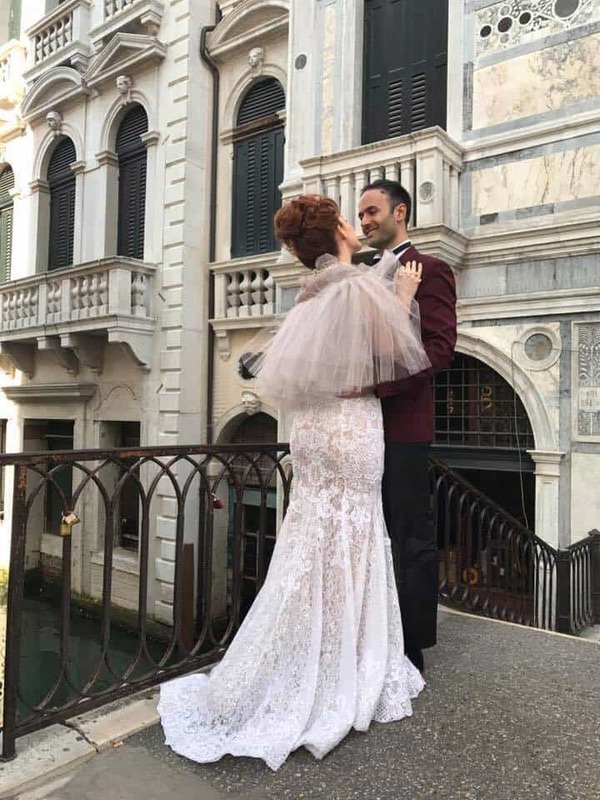 My husband and I visited Venice before we had children and now we had the opportunity to visit again. This time, with a 2.5 year old! With only a day, we took a laid-back approach. 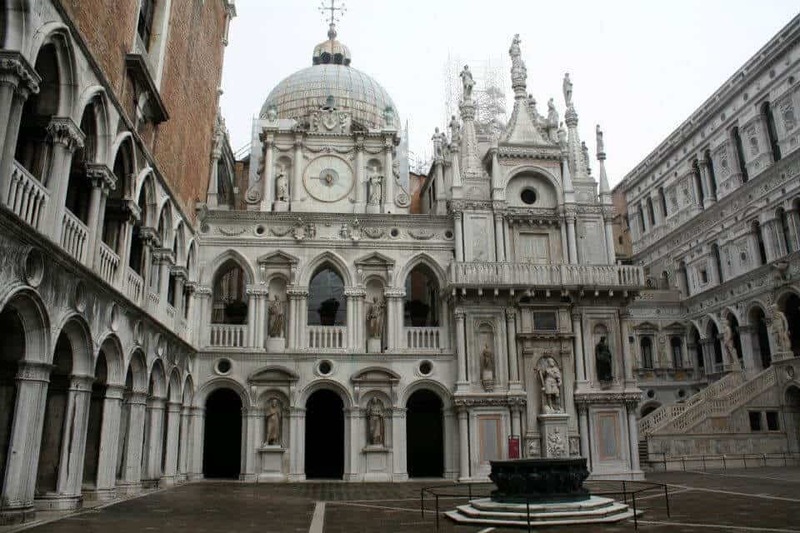 Since this was our second visit, we didn’t rush to see Doge’s Palace or inside Saint Marks Basilica. Instead, we wandered the narrow streets, watched lovers on the bridges and gondolas and explored “off the beaten path”. 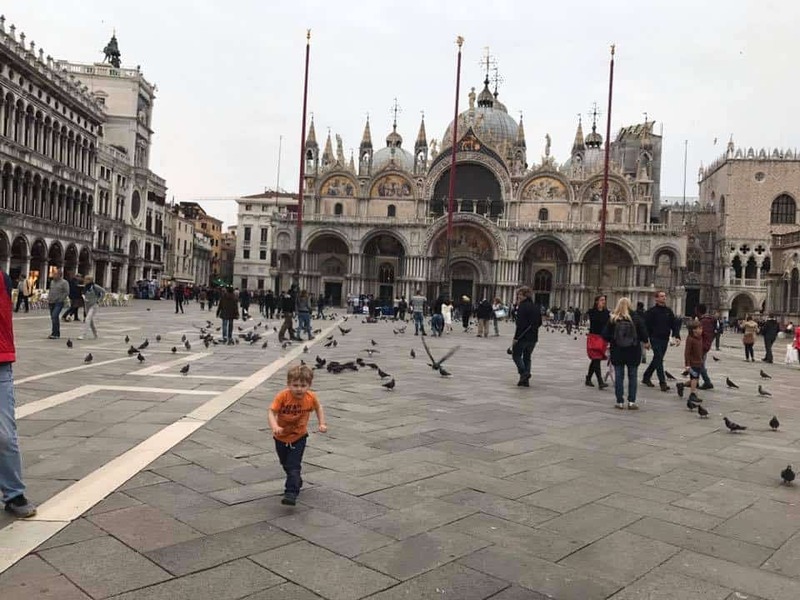 Traveling with a young toddler, we decided that we would see Venice through his eyes. Honestly, it was really fun! He took us down streets that we would have never ventured down. We really saw Venice, not just the touristy areas. We also had a ton of fun just bouncing a ball in the middle of Saint Mark’s Square and interacting with the many people who took part in our game. But seriously, if this is your only visit, here are the places to see. This is the main square where most tourists begin their site seeing in Venice. 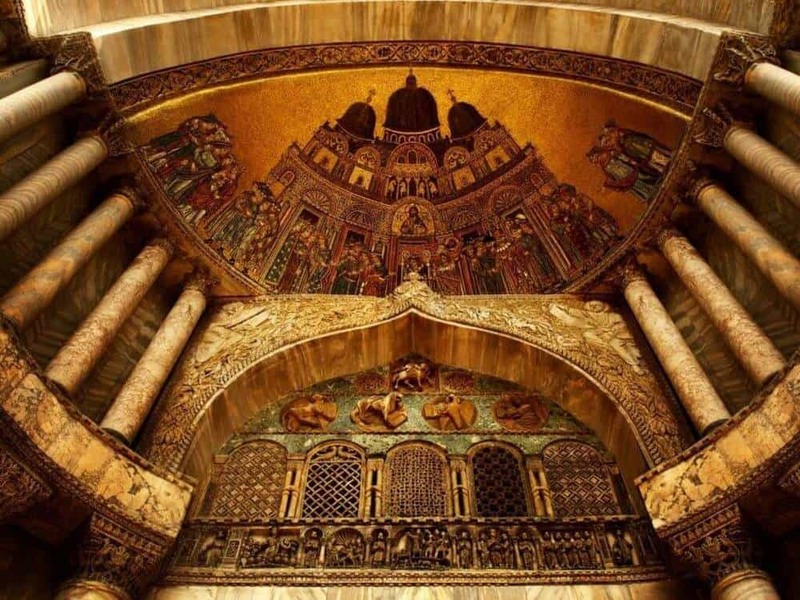 It is the hub of transportation and where you will find St. Mark’s Basilica. Doge’s Palace is also just at the corner. Take your time to enjoy this square, it is truly remarkable. See how many winged lions that kids can spot, bring bubbles to enjoy a bit of play in the square, grab a chair in the evening to enjoy the music and ambiance (even if it’s a bit overpriced). 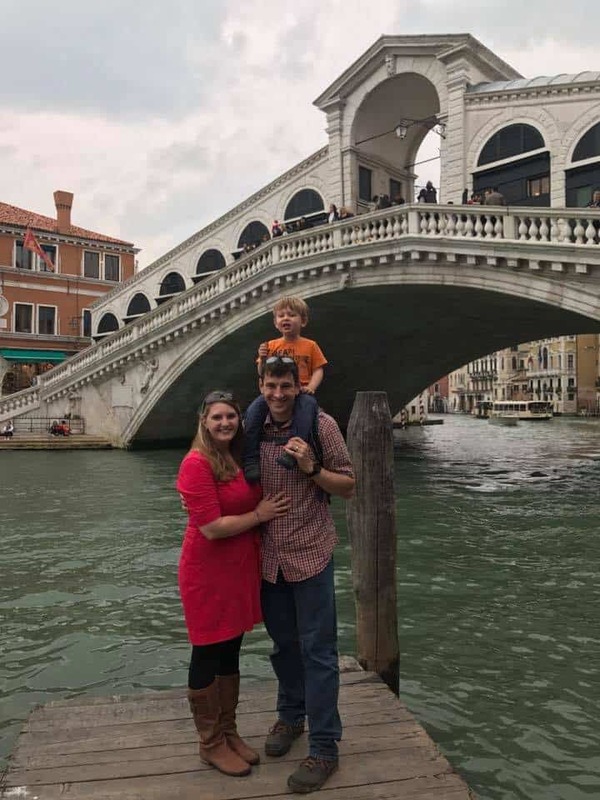 Wherever you walk in Venice, you’ll see signs to the Rialto Bridge and to St. Mark’s Square, so it’s always good to know where they are located relative to where you want to go. Be sure to buy your timed ticket ahead of time. Every time we visit Venice, the lines snake all around the basilica. You can get your free timed tickets HERE. You can also get tickets to the bell tower, but I’d wait to see if it is a clear day or not. Otherwise, it isn’t worth the climb. Fun tips for kids, let them bring some binoculars and see what interesting animals and things they can spot inside the basilica. I know this always entices my son to stick around a bit longer and gives me a chance to take some incredible photos. Note that it is a one-way path, so no exploring off on your own. So make sure the kids are well fed and have used the restroom. There is one bathroom, it is accessible from the Museo di San Marco level. Once you arrive on that level, go down the hall and the restroom will be located at the end of the Sala dei Banchetti (after the tapestries and doge’s throne). This one would be tough with smaller children. We’ve done 30-minute tours of amazing castles, but kids under 4 don’t really seem interested in architecture and history. If you have older kids, I’d visit in the morning and then do something fun with the kids in the afternoon. It’s really an amazing palace, but you can see the majority of the palace from the outside and the Bridge of Sighs is just around the righthand side. 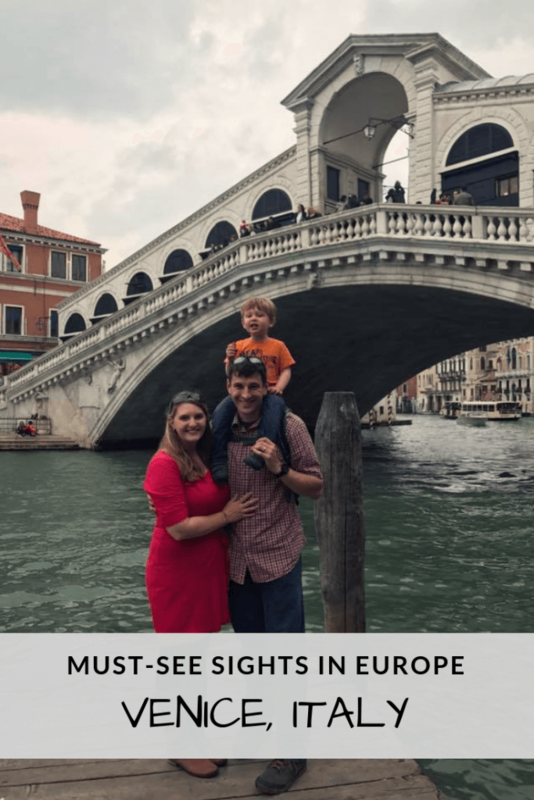 Once you’ve discovered the sites in St. Mark’s Square, it’s time to wander the alleys or push through the tourists (depending on what season you travel in). You’ll see plenty of signs helping you navigate the tangled and narrow streets of Venice. It’s okay to get lost. Sometimes the street that runs parallel to the “main drag” will be much more enjoyable. This is where maps.me and google maps can be handy. Check out our post about navigating offline with maps HERE. Rialto Bridge is absolutely beautiful and always packed (unless you stay up late or get up early). We enjoy the look from the streets nearby more than crossing it. There are little shops tucked into the bridge and always tourist trying to take photos, so it is a busy place. It is the oldest of the four bridges that span the Grand Canal in Venice. You’ll see gondola’s as well as water taxi’s shuffling people to and from their destinations. Now onto my favorite places to visit that are just a boat ride from Venice. 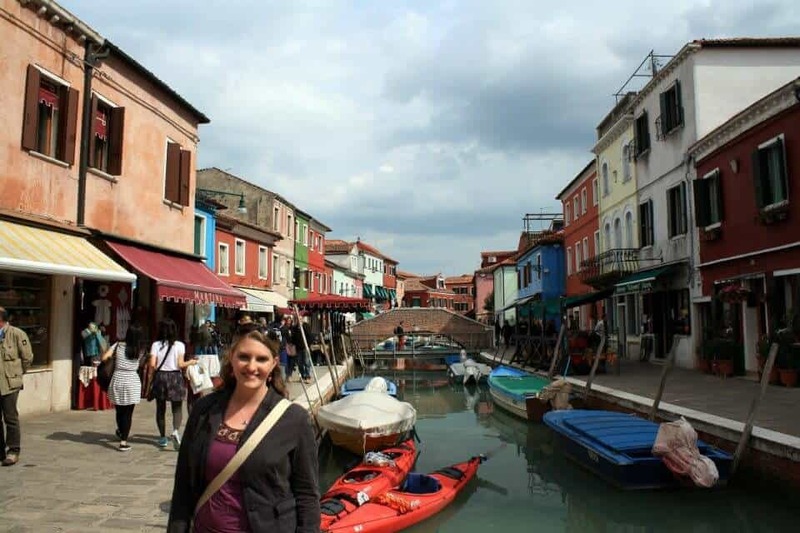 My two favorites are the islands of Murano and Burano. The two islands are kid friendly, complete with grassy parks, a playground and is easier with a stroller if you need to bring one. This is the island where you can find beautiful blown glass. I still have a necklace from 6 years ago when we took a couples trip to Venice. It’s one of my favorite pieces of jewelry. Murano probably isn’t the easiest of the islands with kids (all the glass shops), but there is more space to explore and you won’t feel quite so uneasy about little ones so close to the water’s edge. It is also a quick water taxi ride from Saint Mark’s square. Fun for kids: looking at all the family owned and beautiful boats along the canals, playing on multiple small bridges, watching the glass blowers in the various shops and eating delicious gelato when all else fails. There is also a little public park complete with playground, grass, trees and is the perfect spot for a picnic. At the Basilica of Santi Maria e Donato, cross the bridge over the canal, turn right into the park. Tips: Make sure you visit early in the day if you want to see glassblowing. Most shops finish their tours and glassblowing in the morning. This is the island of lace making and it’s colorful homes. 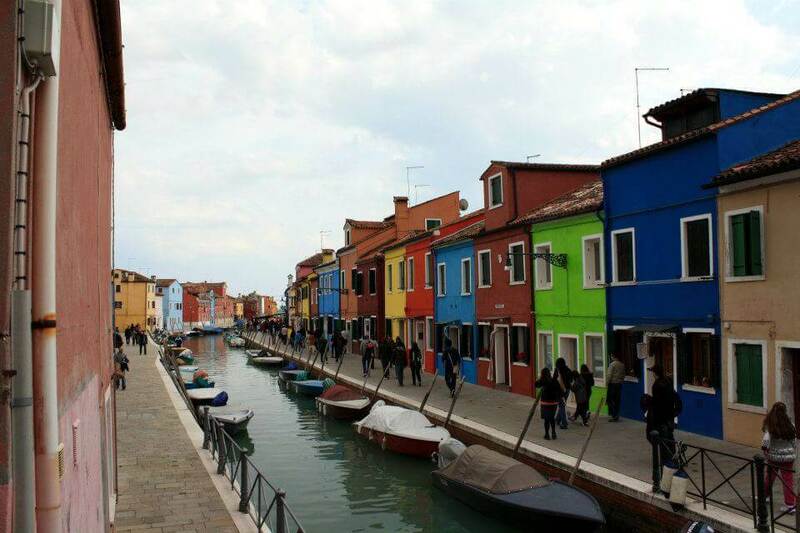 It is best to visit after Burano because it is a sleepy little island and takes a bit to really wake up. We really enjoyed watching the little old ladies making their lace wares. If you have a little girl, this is the place to buy a beautiful dress. Almost makes me want to have another!! There is also another great picnic spot just down by the water bus stop. There is a large grassy area with shade and benches to rest. Those are the highlights of Venice. I’d recommend two full days to accomplish all that site seeing, but if you are smart about your planning, you can cover the highlights in 24 hours. Want to explore more amazing destinations throughout Europe? Check out my interactive map to explore. Check out this Travel Gear to make your trip to Venice a success!